You can never go wrong with a cat eye and a red lip. 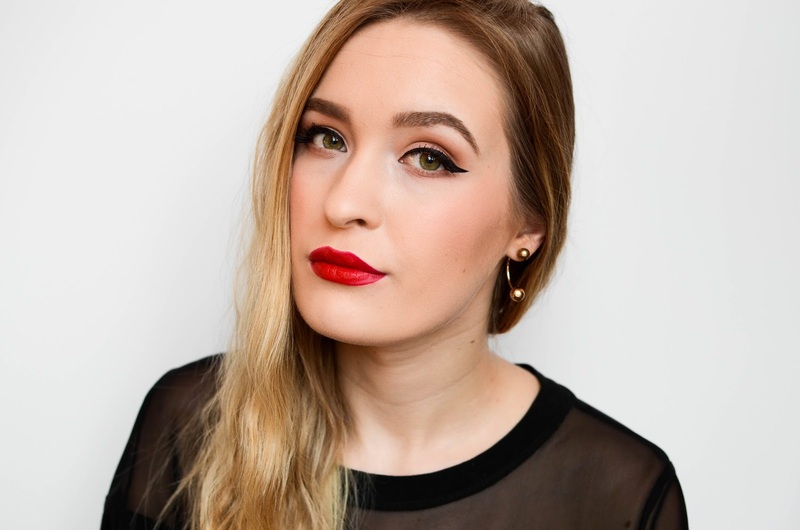 Of course it's fun to do crazy looks with many colors, glitter etc., but sometimes it's refreshing to return to a classic look that, in my opinion, is a cat eye and red lip combination. And L'Oreal definitely knows how to make classic products that we all have and need in our makeup bags. Like a good red lipstick and a perfect eyeliner (absolutely in love with this one right now), but they are also known for their mascaras. The first mascara, that I actually secretly tried from my moms makeup bag, was one from L'Oreal. This upcoming January they are coming out with a new False Lash Superstar mascara called Red Carpet! The idea is the same as it was with the old mascara - on one side you have the primer that helps with the volume of the lashes and on the other you have the actual mascara. But this time they have upgraded the mascara and they say that this one has intense black, reflective pigments that will provide an irresistible gaze even in the flash light, hence the name Red Carpet. I will test it a little bit more and will let you know if it's any different. Do you like L'Oreal mascaras? 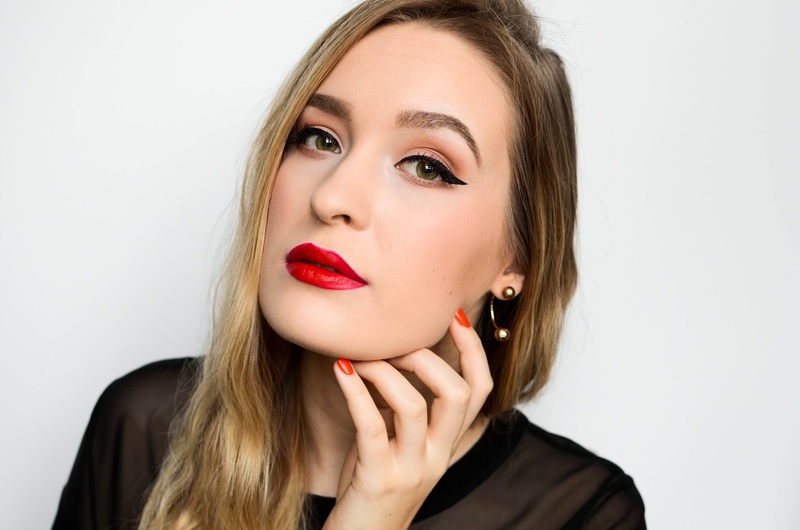 5 comments on "CLASSIC HOLIDAY LOOK WITH L'OREAL PARIS"
Jā, sarkanā krāsa šajā mēnesī noteikti iet uz urrā! :) Lielisks koptēls! Ou jā! :) Vispār Ziemassvētku sezonā tās krāsas ir tādas sulīgi skaistas :) Paldies! loove this look, it suits you!